1(one) Capsule twice daily along with meals or as recommended by the health care professional. 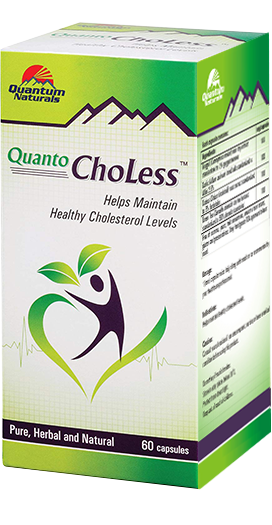 Quanto Choless has beneficial effects on lipid profiles reduction in total cholesterol and LDL cholesterol. Each capsule of Quanto ChoLess contains pure and natural extracts of Guggul, Garlic, Coleus and Green Tea. These ingredient help to reduces serum lipid levels and lowers cholesterol. It also lowers hypertension and intraocular pressure, bronchodilation, thyroid hormone secretion, promotes vasodilation and stimulates lipolysis in fat cells. It inhibits platelet aggregation and promotes cardiovascular health. Quanto ChoLess is 100% natural and free from chemicals and heavy metals. Free of sucrose, yeast, milk derivatives, wheat or corn starch, gluten and preservatives. Only food grade FDA approved colours used. What is a Dietary Supplement? Dietary Supplement is a preparation which supplies essential nutrients which are missing in one's diet. A dietary supplement can be a vitamin, mineral, herb or concentrated extract. Dietary supplements are intended to increase total dietary intake of missing nutrients, the lack which leads to several disorders. Guggul have been investigated for their ability to reduce serum lipid levels, the cholesterol-lowering plant. The chemical present in guggul called guggulsterones (E and Z), these steroids are unique to the Indian myrrh tree and are thought to be responsible for its hypolipidemic effects (lowering blood lipids, e.g., cholesterol). Garlic produce modest significant effects in the treatment of dyslipidaemia and hypertension. Traditionally, it has been used for its antiseptic and antibacterial properties, as well as for treating the common cold, upper respiratory tract infections, mild bronchitis, and rhinitis, and to relieve cough and congestion. Green tea is made from Camellia sinensis leaves that have undergone minimal oxidation during processing, so contains higher percentage of polyphenol. 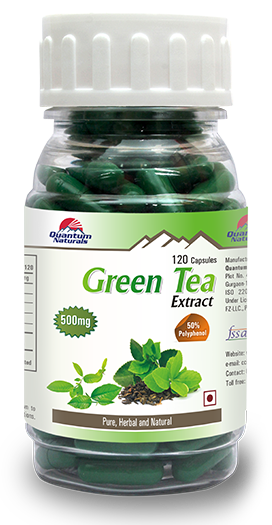 Taking green tea supplements decreases the blood concentration of total cholesterol (about 7�mg/dL), LDL cholesterol (about 2�mg/dL), and does not affect the concentration of HDL cholesterol. The root of Coleus forskohlii has been traditionally used as medicine since ancient times. Forskolin from coleus significantly lowers blood pressure by relaxing the muscles found in blood vessel walls. Coleus extract led to normalization of blood lipid levels, with a decrease in LDL-cholesterol and triglycerides, as well as an increase in HDL-cholesterol. What does Quanto ChoLess do? Guggul, Garlic, Green Tea and Coleus are the potent herbs which synergistically helps in decreasing LDL (Low density lipoprotein) and triglycerides and also helps in increasing HDL (High Lipoprotein). Who should use Quanto ChoLess? 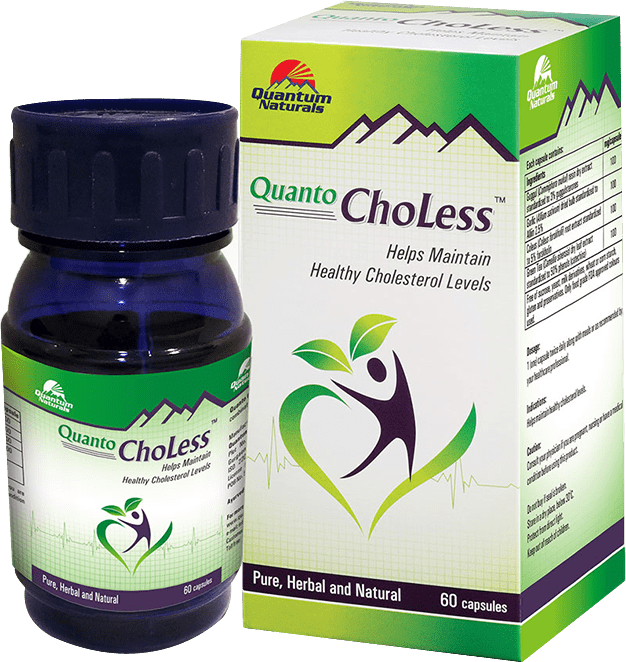 Quanto ChoLess should be used by people having high cholesterol level. 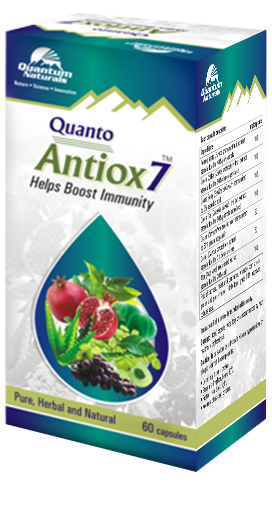 Quanto ChoLess is safe as it contains natural and pure extracts. Does Quanto ChoLess cause any side effects? There are no reported side effects with the use of Quanto ChoLess. In case of any adverse reaction, please consult your healthcare professional. What should be the dosage and frequency? One capsule twice daily with meals or as recommended by your healthcare professional. What if a dose is missed? No worries start off again with the regular dosage, and maintain healthy cholesterol level. Is a specific diet or lifestyle required to be followed? Can one smoke, consume alcohol when under the treatment of Quanto ChoLess? No studies have been conducted with Quanto ChoLess for biological or physical interactions with alcohol or nicotine. However, it is advisable to avoid alcohol or smoking while being on Quanto ChoLess. When will the effects of Quanto ChoLess be noticed? The effects of Quanto ChoLess will start within 5 to 10 days. Results may vary with individuals. Can Quanto ChoLess be consumed with prescription medications? If you are taking medication or have a medical condition, consult your physician before using this product. How long should one continue taking Quanto ChoLess? Quanto ChoLess is safe formulation and can be taken for long duration. Our mission is to deliver highest quality nutraceutical products at the best value to our customers. As we continue growing across the region, we make it a point to remain loyal and true to our core values.